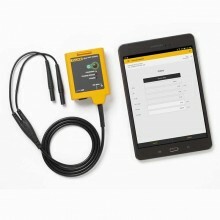 Includes: AC72 alligator clips, one set of stackable test leads, TL75 testleads, Fluke 725 User manuals and NIST- traceable calibration report and data. Take along the Fluke 725 Multifunction Process Calibrator, and you're equipped to test and calibrate almost any process parameter. 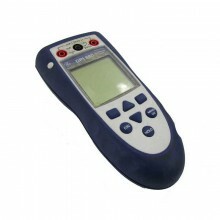 Measure and source mA, volts, temperature (RTDs and thermocouples), frequency, ohms, and pressure, using optional pressure modules. 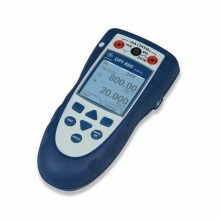 Do you need to calibrate transmitters? 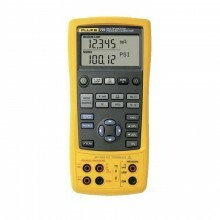 The Fluke 725's split display lets you view input and output values simultaneously. 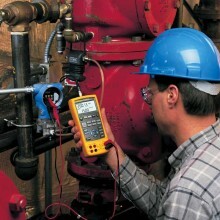 For valve and I/P tests, you can source mA while measuring pressure. The 725 has auto-stepping and auto-ramping for remote testing, plus 25% stepping for fast linearity tests. 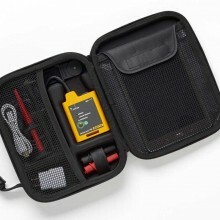 Small, streamlined shape, rugged, reliable design stands up to field use. 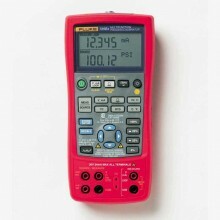 Easy to read measure/source screen lets you view input and output simultaneously. 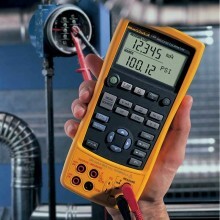 Measure volts, mA, RTDs, thermocouples, frequency, and ohms to test sensors and transmitters. 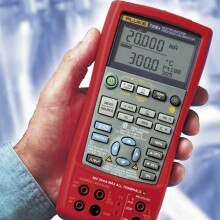 Source/simulate volts, mA, thermocouples , RTDs, frequency, ohms, and pressure to calibrate transmitters. 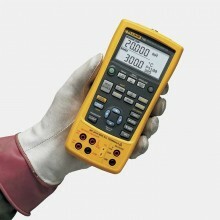 Measure/source pressure using any of 29 Fluke 700Pxx Pressure Modules. Source mA with simultaneous pressure measurement to conduct valve and I/P tests. 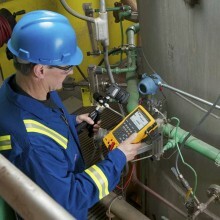 Support flow meter testing with frequency and CPM functions. Perform fast linearity tests with auto- step and auto-ramp features. Power transmitters during test using loop supply with simultaneous mA measurement. Handling of fast pulsed RTD transmitters and PLCs, with pulses as short as 10 ms.
Store frequently used test setups for later use. 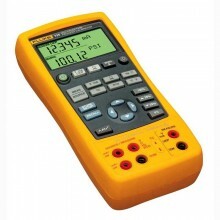 Voltage DC 30.000 V 0.02% + 2 counts (upper display). 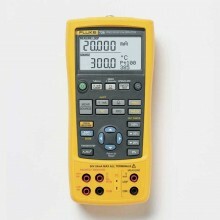 30.000 V 0.02% + 2 counts (lower display). 100.00 mV 0.02% + 2 counts. Current DC 24.000 mA 0.02% + 2 counts. Resistance 0.0 to 400.0 Ω 0.1 Ω (4-wire), 0.15 Ω (2- and 3-wire). 401 to 1500 Ω 0.5 Ω (4-wire), 1 Ω (2- and 3-wire). 1500 to 3200 Ω 1 Ω (4-wire), 1.5 Ω (2- and 3-wire). Frequency 2.0 to 1000.0 CPM 0.05% + 1 count. 1.0 to 1100.0 Hz 0.05% + 1 count. 1.00 to 10.00 kHz 0.05% + 1 count. Pressure Accuracy from 0.025% of range using any of 29 pressure modules (for detailed specifications refer to pressure modules in options and accessories). Modules available for differential, gauge, vacuum, absolute, dual and high pressure. Voltage DC 100.00 mV 0.02% + 2 counts. 10.000 V 0.02% + 2 counts. Current DC 24.000 mA (source) 0.02% + 2 counts. 24.000 mA (simulate) 0.02% + 2 counts. Resistance 15.0 to 400.0 Ω 0.15 Ω (exc. current 0.15 to 0.5 mA), 0.1 Ω (exc. current 0.5 to 2 mA). 401 to 1500 Ω 0.5 Ω (excitation current 0.05 to 0.8 mA). 1500 to 3200 Ω 1 Ω (excitation current 0.05 to 0.4 mA). 1.0 to 1100.0 Hz 0.05%. 1.00 to 10.00 kHz 0.25%. Resolution J, K, T, E, L, N, U: 0.1°C, 0.1°F B, R, S: 1°C, 1°F. 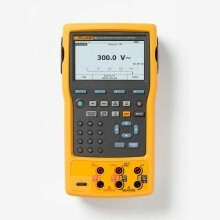 Accuracy stated for 4-wire measurement. Resolution J, K, T, E, L, N, U: 0.1°C, B, R, S: 1°C. Storage temperature -20°C to 71°C. Size 130 x 236 x 61 mm. Battery replacement Separate battery compartment, accessable without breaking calibration seal. 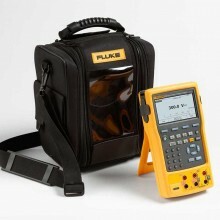 PDF User Manual for the Fluke 725 Multifunction Process Calibrator.